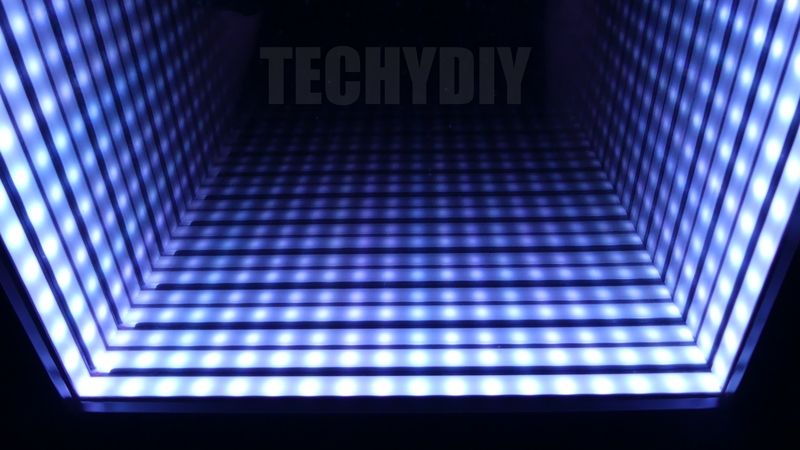 An infinity mirror consists of a two way mirror at the front, lights in the middle and a normal mirror at the back. 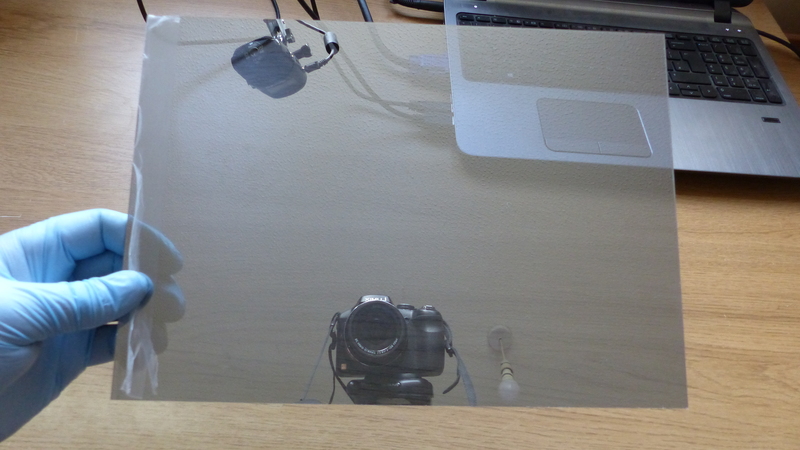 A two way mirror is a partially reflective mirror that reflects some light and allows the rest to pass through. 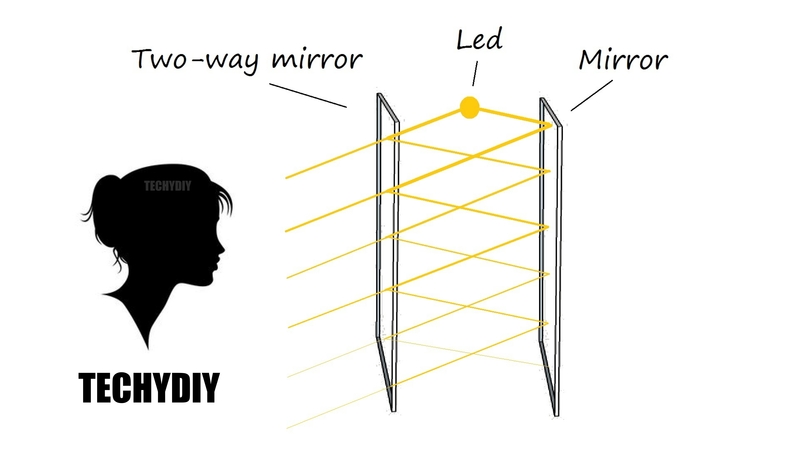 The light bounces between the mirrors with the two way mirror allowing some of the light to pass through each time. 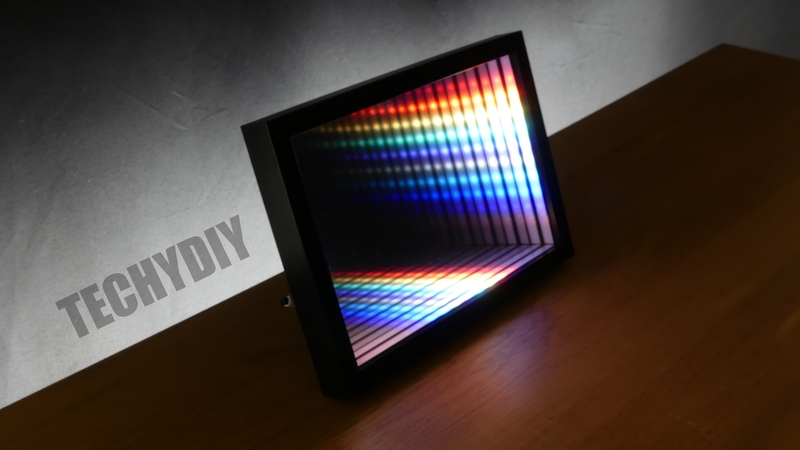 This creates a series of reflections with diminishing intensity leading to the illusion of lights fading into the distance. 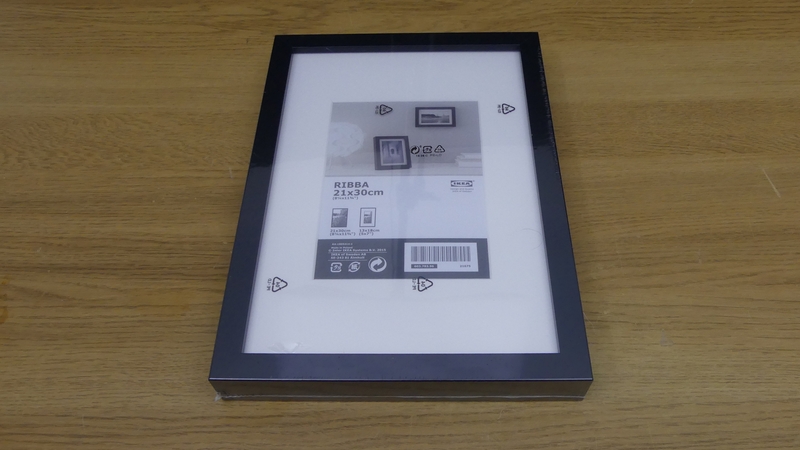 To make this project easily using just a few hand tools, I have made use of an IKEA Ribba picture frame. First of all take the picture frame apart, for this project we will only be using the frame and the back panel. Remove the metal tabs from the frame with a pair of pliers. 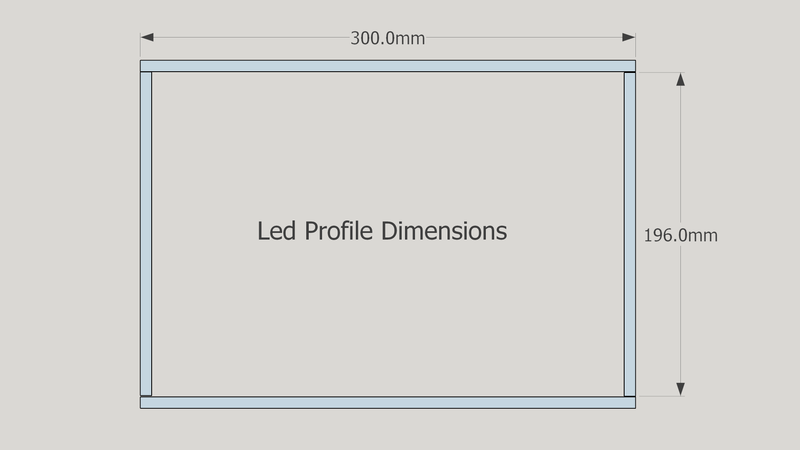 A section is cut away from the end of one of the profile sections to allow the led cables to pass through. 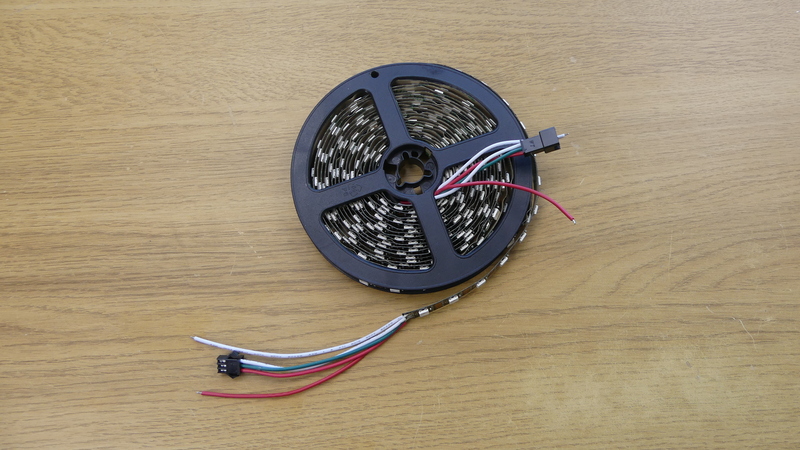 The led strip that I have used is WS2812B programmable colour led tape. 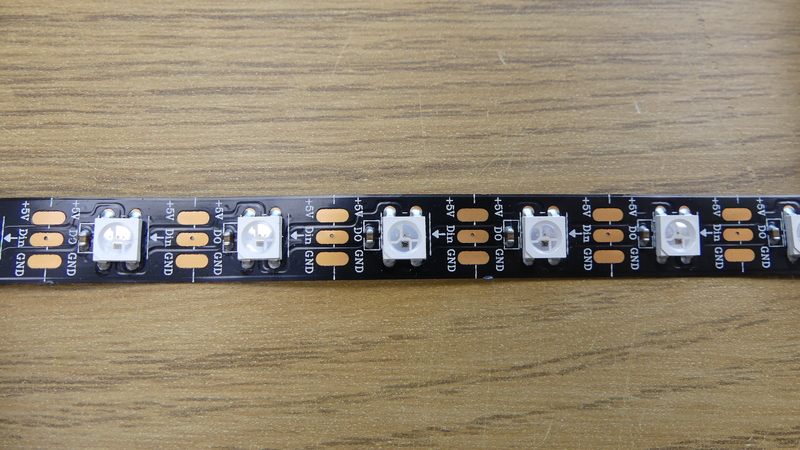 This has an adhesive backing and can be cut to length at the marked positions. 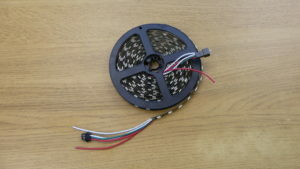 Starting with the end that connects to the controller, the led tape is fitted to the aluminium profile and cut to length. This is quite a fiddly process and I found it easier to fit the sections of aluminium profile into the frame while I was installing the tape. 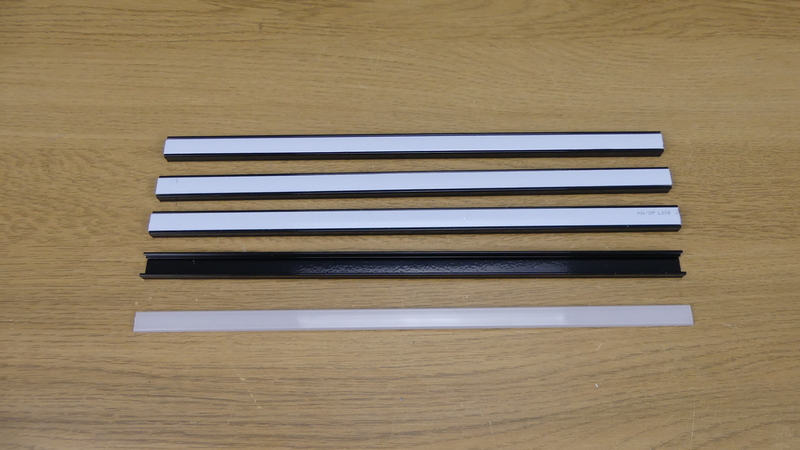 The diffused covers for the aluminium profile can now be cut to length and fitted. To assemble the infinity mirror, the two way mirror is installed first with the acrylic side facing outwards and the aluminium side facing inwards. 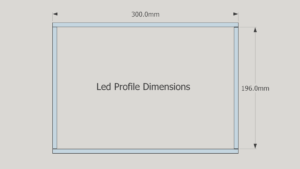 The video demonstrates how to determine which side of the two way mirror is which. 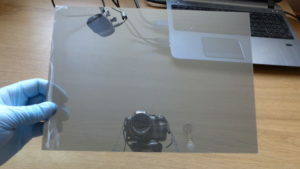 Then the aluminium profile is fitted, followed by the normal mirror and the back of the picture frame. 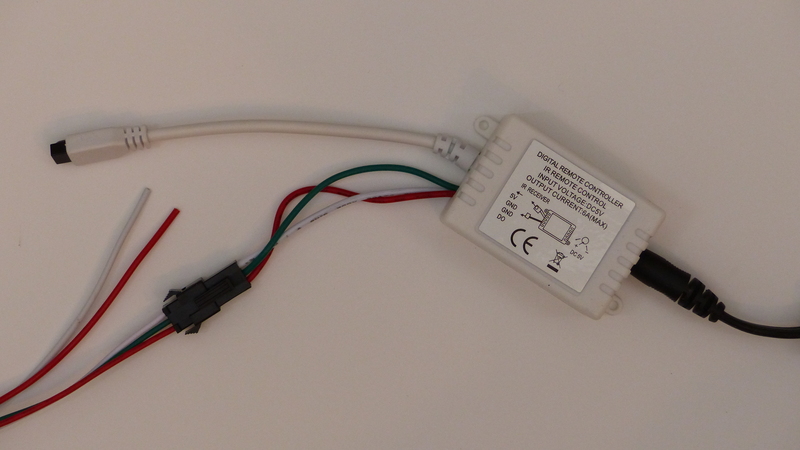 The led cable is routed out through a gap between the frame and the cover. The back cover is secured in position with glazier points. These are fairly easy to push in with hand using a screwdriver or another blunt edged blade. 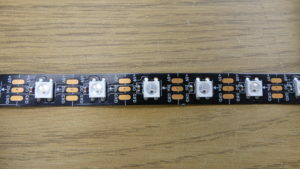 The led strip can now be connected to the led controller and tested. 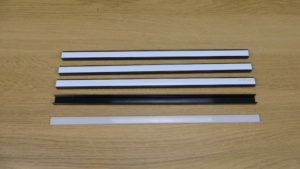 I secured the controller to the back of the frame using double sided tape, with the receiver for the remote control just visible from the side of the frame. 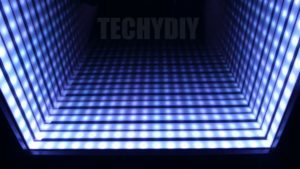 This entry was posted in Infinity Mirror Projects and tagged infinity mirror on March 24, 2019 by techydiy.